The vice-chair of a Senate committee studying a bill to overhaul the environmental assessment process for the natural resources sector is also a board member and an option holder in a mining company — something which could put him in a conflict of interest, according to two ethics experts. Conservative Nova Scotia Sen. Michael MacDonald and the 13 other members of the energy committee have started their study of Bill C-69. If it's passed, the government's bill will have wide-ranging consequences for many major mining and energy projects in this country. Among other things, the bill would rework the framework that governs development in the country's nuclear sector — changes that could affect two graphite mining projects in Quebec that are under development by a company in which MacDonald has 'call options' — which are options to buy a stake in a company at an agreed price within a specific time period. In October 2018, MacDonald accepted an invitation from Carbon Canada to join its board of directors. In December, the senator obtained 500,000 call options. In an e-mail sent to Radio-Canada, CBC's French-language service, MacDonald said that the CEO of Carbon Canada, Bruce Duncan — MacDonald's former business partner — invited him to serve on the board of directors. "It seemed interesting and I was honoured to be asked to work with experienced professionals with such a track record," he said. MacDonald said that he followed the Senate's ethics code related to disclosure: "Of course, I told the Office of the Senate Ethics Officer (of) my participation on the board of directors." "The Senate Ethics Officer has received, and reviewed, my disclosure and has never indicated that he has any concerns with respect to my involvement in that company and my work in the Senate. 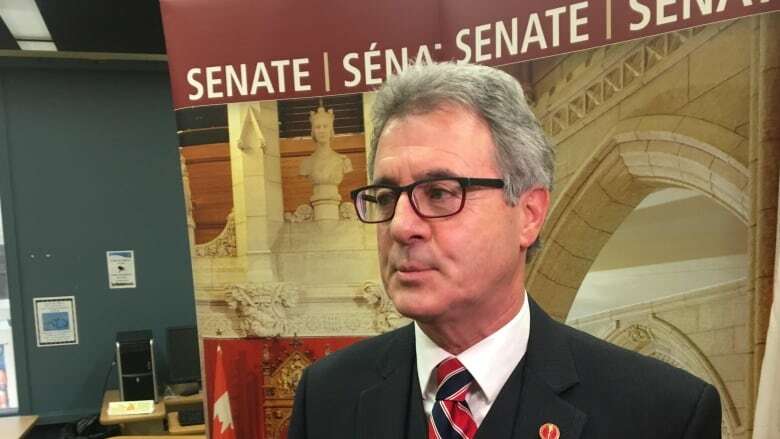 I have complied with every requirement of the Senate Ethics Officer and have acted appropriately in all my involvement with Canada Carbon and my work in the Senate of Canada," MacDonald said in a statement to Radio-Canada. "The inference that I, an opposition senator, in a Parliament where the government has a majority in the House of Commons and whose appointees constitute a majority in the Senate, can dictate policy, or change legislation, is obviously ill-founded." Michel Magnan, an professor of corporate governance at Concordia's John Molson School of Business, said MacDonald may be in a situation where his role as a member of the board in a natural resources company clashes with his role as a senator trusted to carry out "sober second thought" on the Liberal government's new impact assessment law. "When you're a member of a board, your job is to look after the best interests of the company," Magnan said. "But when you're a senator, your interest is to look after the best interests of Canadians, the common good. These interests are not necessarily the same." Carbon Canada is a Vancouver-based company that has sought to develop a marble quarry and an open-pit graphite mine in the Grenville-sur-la-Rouge municipality in the Laurentian region of Quebec. That municipality has tried to stop such a development through an amendment to its zoning bylaws. The company has since launched legal action against the municipality, claiming it overstepped its authority by trying to restrict mining projects through municipal law. In addition to reworking the impact assessment process, Bill C-69 makes changes to the framework that governs the country's nuclear industry. In a report released last November, industry representatives recommended excluding small modular reactors (SMRs) — nuclear fission reactors which are much smaller than conventional reactors and can use carbon as a neutron moderator — from the new assessment process proposed by Bill C-69. "What we, the industry, said to the federal government is that keeping this in the hands of Canadian Nuclear Safety Commission would help foster project development without hampering environmental and regulatory assessment," said John Barrett, the president of the Canadian Nuclear Association. Rumina Velshi, president and CEO of the Canadian Nuclear Safety Commission, appeared before the Senate energy committee studying the issue Thursday. The success of Carbon Canada's proposed Grenville-sur-la-Rouge graphite mine project depends on the continued development of small modular reactors, which rely on graphite to work. "Without these small reactors, a graphite mine like the Miller project does not have its reason for being. There is probably no other outlet for graphite as pure as that coming from the Miller project," Gordon Edwards, a physicist with the Canadian Coalition for Nuclear Responsibility, said in an interview. When MacDonald was appointed to the company's board of directors, he detailed his position on SMRs in a press release. "I strongly believe in clean nuclear energy and in particular the potential of small modular reactors ... The purity of Carbon Canada's Miller graphite project could play a key role in the development of SMRs for domestic and commercial use in Canada," he said in the release. Duff Conacher, a professor of law and political science at the University of Ottawa and a co-founder of Democracy Watch, said the senator's statement is problematic because it gives the impression that a senator is promoting the interests of the company. "It's not just an appearance of a conflict of interest. It is a conflict of interest," he believes. "My quote from when I was appointed to the board of Canada Carbon was simply an observation made by a relatively well-informed layman about the potential of moving Canadians off dirty fuel such as diesel to more environmentally friendly alternatives," he said. "Isn't everyone supportive of this? "My statement does not constitute lobbying under even the broadest reading of that term." There are no small modular reactors operating in Western nations (there are such sites in Russia). Canadian Nuclear Laboratories (CNL), which is owned by the Crown corporation Atomic Energy of Canada Ltd., is hoping to build a prototype at the nuclear research facility at Chalk River, Ont., as early as 2026. CNL is currently considering about 10 project proposals, three of which would use graphite as a moderator or reflector within a nuclear reactor. "The amount of graphite that some SMR models require to operate is considerable. Even though these nuclear reactors are smaller, the industry hopes to market thousands of them," Edwards said. "These reactors could be partially built in the factory, and then assembled on the operating site. They could be used in remote northern communities, mines and oilsands sites." The Conflict of Interest Code allows a senator to be a member of the board of a corporation or hold shares in a company. However, senators are not permitted to act in a way that benefits their own personal financial interests. "A senator who has made a declaration ... may not participate in debate or any other deliberations in the committee on the matter, and must withdraw from the committee for the duration of those proceedings," the code reads. MacDonald said he would recuse himself from committee business if its deliberations have an impact on his personal affairs. "That would be my personal practice and I believe the Senate Ethics Commissioner would agree with that practice. Such a matter has never come before the Senate, or any committee on which I am a member, and as such I have never had to recuse myself. Nonetheless, it is my policy to do so in those circumstances," MacDonald said. The Senate ethics officer told Radio-Canada via email that, according to the code, it must keep the details of MacDonald's situation confidential. Magnan, the expert in corporate governance, said the Senate's role has evolved in recent years as the prime minister has tried to eliminate overt partisanship in favour of an independent Red Chamber free from party politics. "Before, senators followed the party line so personal interests had less weight in their deliberations. Today, more and more, senators are voting according to their interests or personal beliefs. The rules relating to Senate ethics should be reviewed to account for all the developments in recent years," he said.